This book is a trap. To be honest, I expected this book to be sappy and a subpar, scifi wannabe. I have to commend the originality of this book though, using aliens as its theme. The scientific explanation for the Luxen can still use a little astrophysics, because it still feels like a fanfiction to me. BUT. I have to commend the characters. Although there is still a very Cullen feel to the alien gang, it should be noted how every one of them have a personality of their own, like they’re real people. There are a lot of YA books that fail on giving their characters life, and for me this is one of the most important aspect of book-writing. 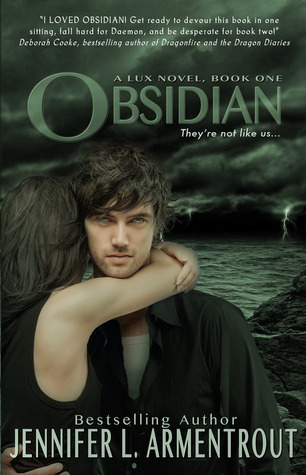 What I really, really, absolutely loved about this book is the very flammable chemistry between Daemon and Katy. Other books tried igniting their main pairing’s chemistry. But with this book, it feels natural. And it works for them, it doesn’t feel sappy. And kudos for one of the hottest make out scenes ever. I could totally watch it play in my mind, all the electrical appliances flickering on and off while sparks literally fly all over the room. Definitely one of the things I would want to happen in my life. There are still a couple of things the author could improve in this book, but the chemistry of the main couple here is this book’s winning factor–enough reason for anyone to brave the book’s flaws.